Aging affects habitual sleep patterns. Older adults require seven to nine hours of sleep per night, which is the same amount required of younger adults. Senior citizens, however, tend to awaken in the middle of the night when, ideally, they should be sound asleep. Many older people tend to get to bed early and rise with the first light of dawn. Seniors’ daytime naps are often spurred by frequent waking up at night or sleeping less deeply. Elderly individuals experience a natural change in hormones as they advance in years, prompting the new sleep habits. Medical causes include seniors’ decrease in the production and secretion of melatonin, which aids sleep. Older people tend to also startle more easily; and their sensitivity will jar them awake at the slightest nighttime disturbance. Health conditions also disrupt sleep in seniors. Common ailments that both plague aging individuals and affect sleep include overactive bladder, insomnia, chronic physical pain and Alzheimer’s disease. An overnight caregiver dedicated to making a senior’s nighttime rest as comfortable as possible is likely to feel the stress of constantly waking up in the middle of the night to accommodate a loved one. Jolted awake at 1am and again at 3am on a Monday morning to assist a senior to multiple trips to the bathroom will take a physical toll on a caregiver who must report to work at 8am. Scenarios like this are common between compassionate caregivers and vulnerable care recipients. 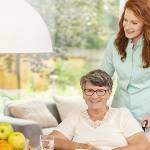 Strategies to bring relief to overnight caregivers are also effective in helping the senior. Depending on the reason the senior awakens intermittently throughout the night, nighttime caregiving solutions are available. Install a portable commode next to the senior’s bed. Commodes are safe for older adults to use, as they feature handles and are designed like a standard chair. Plus, commodes enhance safety—a senior has no need to struggle to the bathroom at night via a darkened hallway. 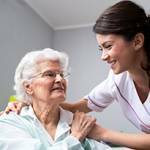 A family caregiver may also consult the senior’s physician to rule out urinary tract infections or other treatable conditions. Long-lasting pain emerges as people age, making getting a full night’s rest challenging for a senior. 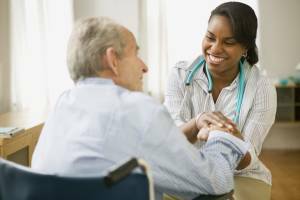 In the event a care recipient experiences a physical ailment, first consult the senior’s physician. A doctor may be able to prescribe medications to ease the aches, determine the cause of pain or offer recommendations that would alleviate the discomfort. Adjustments to the sleeping area also may help with encouraging a restful night when physical pain is an issue. Multiple pillows, an adjustable bed or a mattress topper are available solutions that offer ease. Seniors may rest a pillow or a combination of pillows between the knees, behind the back or under the neck. Trial and error are useful in determining optimum placement during sleep. Experts also recommend the softness of a mattress topper to relieve pressure point pain. Frequently awakening at night is known as insomnia. Insomnia is a phenomenon that mostly occurs in older adults. Certain prescription medications can trigger bouts of insomnia. Caregivers should consult the senior’s physician if insomnia is sudden and persistent. Arrange the senior’s bedroom so that frequent waking up may be easily accommodated. Place a cozy chair next to a low-level lamp to encourage reading, knitting, crossword puzzles or a similar calming activity. Avoid placing tablets, smartphones or laptops in the vicinity, since the blue light emitted from these devices hinders sleepiness. 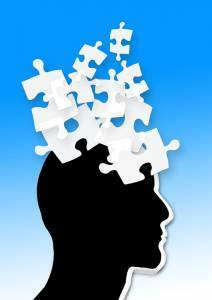 Alzheimer’s disease and other dementia conditions can keep a senior awake at night. Experts warn that individuals with insomnia often engage in a behavior known as rummaging. Going through closets, clothes or socks is typical in rummaging activity. Rummaging cannot be stopped, but a caregiver can ease the situation. In a low-lit atmosphere, place a rummage bag that the senior may access when he or she wakes up. Create a rummage bag based on observing what objects the older adult prefers to handle. 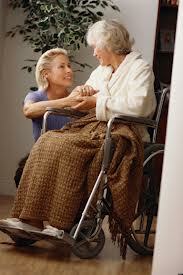 As soon as the senior awakens at night, a caregiver may direct the senior to the rummage bag. Avoid disturbing the process. No matter the cause of a senior’s awakening throughout the night, safety is a prime concern. Caregivers may create a safe space for when a senior awakens at night. Utilize a baby monitor to be aware of the elderly person’s whereabouts, especially if the senior tends to wander out of the bedroom. A bed alarm, which sounds when a senior wanders out of the bedroom, is a similar option. Remove all glass top tables, sharp items and loose wiring from the hallways and anywhere the senior tends to move about to prevent a mishap. Families significantly benefit from hiring an overnight caregiver from a reputable home care agency, like Assisting Hands Home Care. Dependable caregivers assist the senior in the comfort of home with bedtime routines, such as medication reminders, dressing and hygiene as well as using the bathroom at night and shifting into and out of bed. 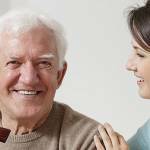 Overnight home care from Assisting Hands Home Care offers immense relief to families with daytime schedules. Caregivers stay alert all night to monitor your loved one and provide immediate assistance.